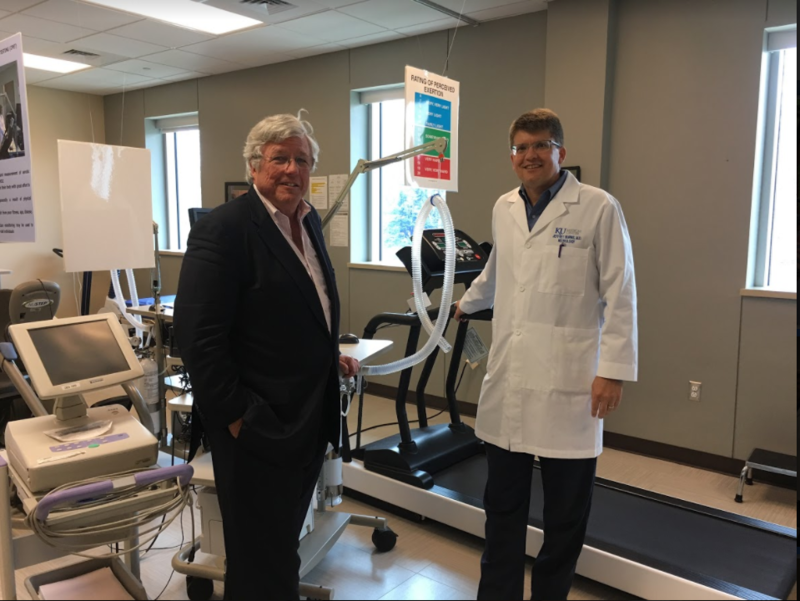 John Dwyer, left, president of the GAP Foundation, and Dr. Jeffrey Burns, co-director of KU's Alzheimer’s Disease Center, are trying to recruit hundreds of people for clinical trials on the effects of diet, exercise and drugs on the disease. Terrie Huntington, a former Kansas legislator, is participating in a clinical trial at the KU Alzheimer's Disease Center. Her sister was diagnosed with early-onset Alzheimer's. Doctors diagnosed early-onset Alzheimer’s disease. Huntington’s mother had dementia, although it was never diagnosed as Alzheimer’s. But Huntington began to worry she might be a candidate for the disease. Then a friend told her that the University of Kansas Alzheimer’s Disease Center was conducting clinical trials. “It’s a very lengthy process to become involved, you have to take cognitive tests and skill tests, perhaps MRIs, pet scans, exercise tests while you're hooked on machines,” Huntington recalls. Huntington, who’s 67, was chosen. The former Kansas legislator clearly was highly motivated. But not everyone is as motivated as she was to sign up – and that’s a problem. 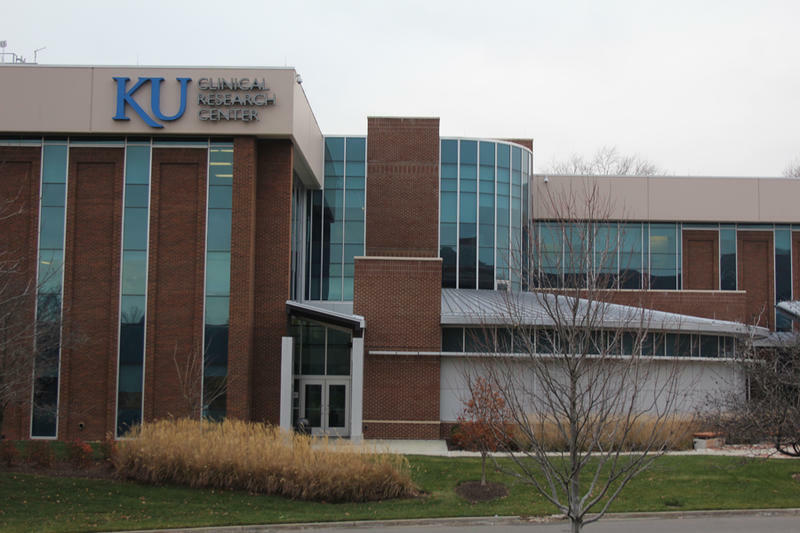 The KU center is one of 31 nationally designated Alzheimer’s centers and has about 25 active clinical trials on prevention and treatment underway. And to obtain that proof, the center needs volunteers – lots of them. To be precise, about 650 over the next three years. And it’s mainly looking for people without symptoms – in other words, people who wouldn’t necessarily be as inclined as Terrie Huntington to sign up. It’s both a marketing and logistical challenge. “Each trial is a little different and so that's one challenge. And the other challenge is just getting the word out,” Burns says. That’s where the GAP Foundation comes in. GAP stands for Global Alzheimer’s Platform. The Washington, D.C.-based organization partners with the likes of the Alzheimer’s Disease Center to recruit people who may not give much thought to participating in a clinical trial. “Unlike cancer, for example, God forbid, most folks that enroll in a clinical trial in cancer are therapy seeking,” says John Dwyer, president of the GAP Foundation. “They've already received a diagnosis or a possible diagnosis of cancer, so they're both motivated and have a very grounded need,” Dwyer says. “You know, I woke up this morning and if I wasn't in this business I don't think I'd be thinking about whether I want to be in a clinical trial,” Dwyer says. So GAP is going beyond the medical community and meeting with folks like Kansas City Mayor Sly James and businesses like Hallmark Cards. The hope is they’ll get the word out about the clinical trials to their constituents and employees. 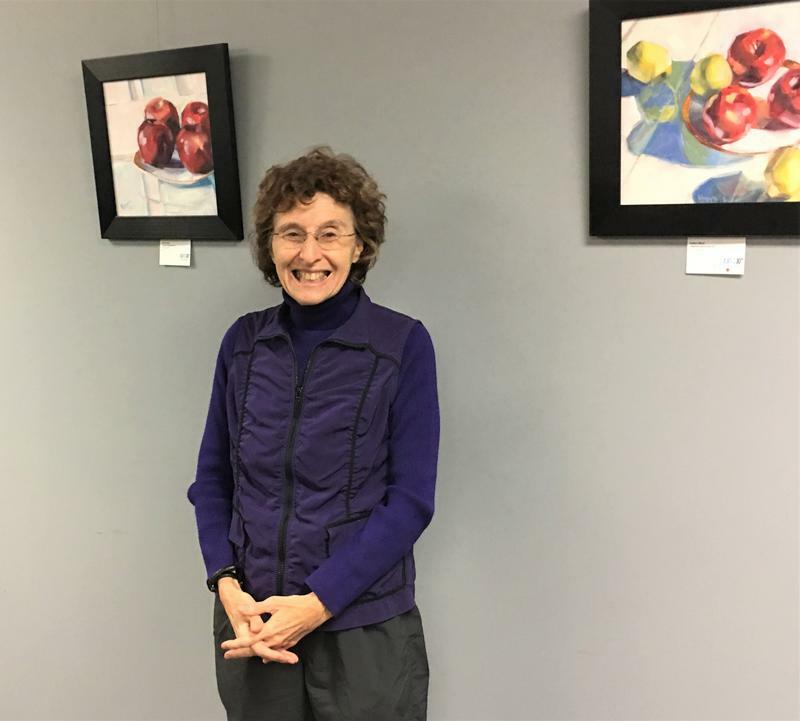 Dwyer frames it as a community issue: More than 5 million people in the United States have been diagnosed with Alzheimer’s and it takes about two caregivers for every patient. That translates into 50,000 Alzheimer’s patients and 100,000 caregivers in the Kansas City area alone. The thinking is that when people realize it’s the entire community that’s affected, they’ll be more motivated to sign up for clinical trials. Back at her Fairway home, Huntington says she’s eager to get going. Her sister died at age 60, just eight years after she was diagnosed and after enduring much suffering. “It’s always something in the back of my mind once you’ve had a close family member with that disease, most definitely,” Huntington says. Huntington is participating in a clinical trial looking at the effects of exercise on the Alzheimer’s disease. Apart from the occasional round of golf or tennis, she says she’s never been a regular exerciser. Now she’s hitting the treadmill four times a week at the Paul Henson YMCA in Prairie Village while a researcher monitors her. “Knowing what the disease is, if I can help the population of people who are going to get the disease, prevent them from losing their memory fast, that's something I really want to do,” Huntington says. KU’s Alzheimer’s Disease Center is hoping several hundred other folks feel the same way. Dementia is an impairment of brain functions marked by memory loss and personality changes. It affects an estimated 4 million to 5 million adults in the United States annually and, as the elder population increases, is likely to have a growing impact in the future. Alzheimer’s disease is the most common form of dementia, affecting as many as 5 million Americans in 2013, according to the Centers for Disease Control and Prevention. That number is projected to rise to 14 million by 2050.